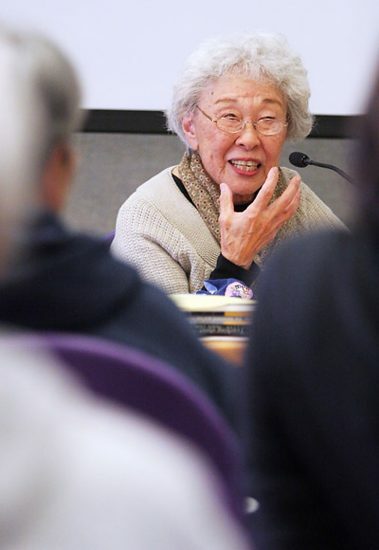 GARDENA — Wakako Yamauchi, a renowned Nisei writer best known for her play “And the Soul Shall Dance,” passed away on Aug. 16 at her home in Gardena. She was 93. She is remembered for depicting the struggles of Japanese immigrants and their children during the Great Depression and World War II, which she personally experienced. 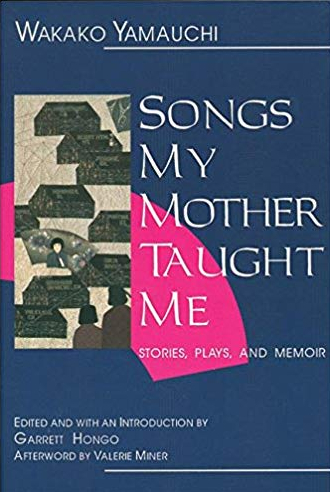 Yamauchi, who was also a short-story writer, a poet and a painter, published two books, “Songs My Mother Taught Me: Stories, Plays, and Memoir” (1994) and “Rosebud and Other Stories” (2011). She was born Wakako Nakamura on Oct. 24, 1924, in Westmorland to Issei parents who farmed in the Imperial Valley, near the Mexican border. As tenant farmers, they moved continuously with four children in tow, following work from town to town. 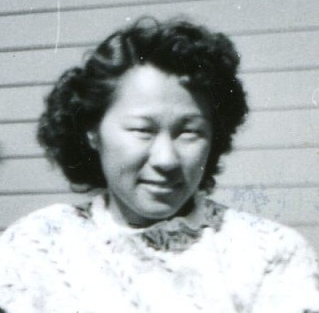 During the Great Depression, her father was forced to begin farming for himself and her mother assisted him in the fields, but also taught Japanese on Sundays at the Buddhist church. Unable to make ends meet, they also opened a boarding house for other Japanese immigrants. Pearl Harbor was bombed when Yamauchi was 17 years old. She recalled in an interview that her Nisei classmates stopped coming to school and one of her teachers condemned the “Japs” for attacking America. She and her family were incarcerated at the Poston concentration camp in Arizona. It was there that she got to know Nisei writer Hisaye Yamamoto, a few years her senior and already established in the Japanese American press. Yamauchi had enjoyed Yamamoto’s column in The Kashu Mainichi, written under the pen name Napoleon, and later recalled being disappointed when she found out Napoleon was a woman. Both women worked on the camp newspaper, The Poston Chronicle, as layout artist and contributing writer, and shared an interest in art and literature. 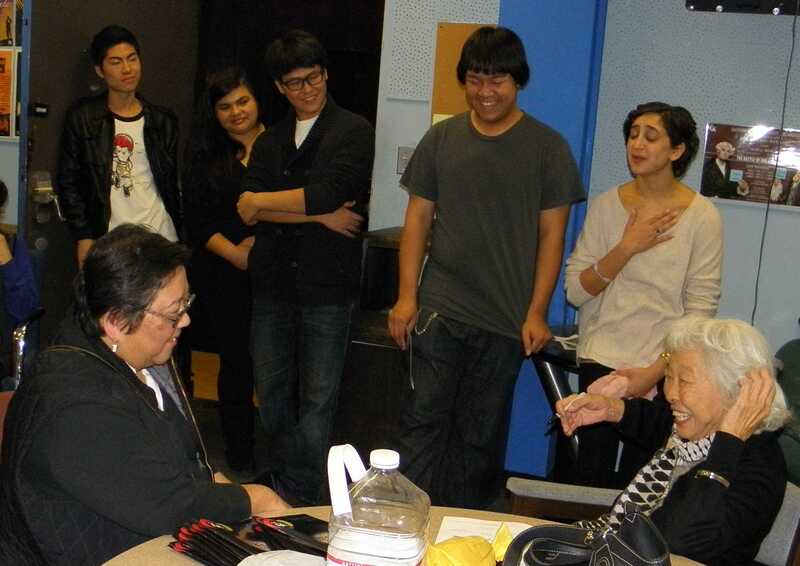 Until Yamamoto’s passing in 2011 at age 89, the two maintained a close, life-long friendship of inspiration and artistic support. After a year and a half at Poston, Yamauchi relocated to Utah and then to Chicago, where she worked in a candy factory and began attending plays, marking the beginning of her love for theater. In 1948, she married Chester Yamauchi (1923-1992). Although the couple later divorced, she continued to write under her married name. Their daughter Joy, who served as editor of Tozai Times, a monthly newspaper founded by Chester, passed away in 2014 at age 58. 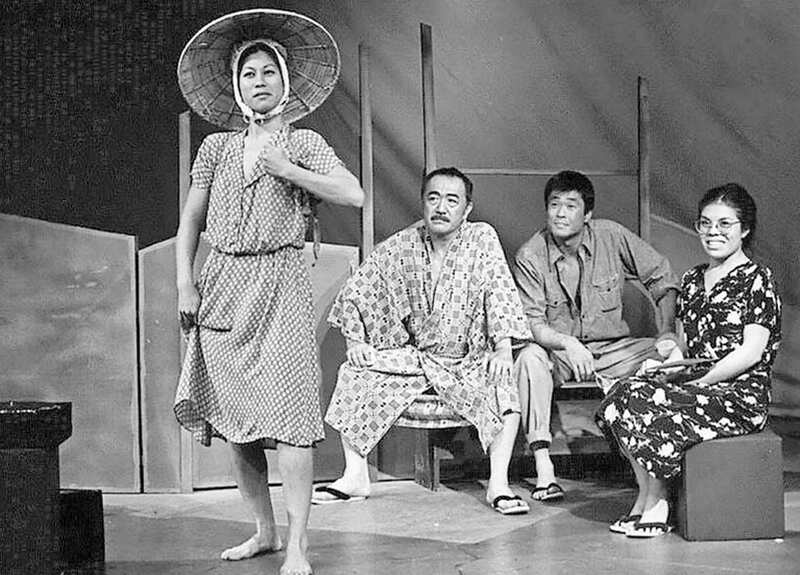 Production photo of Wakako Yamauchi’s “And the Soul Shall Dance,” first performed at East West Players in 1977. From left: Haunani Minn, Yuki Shimoda, Jim Ishida and Josie Maseras Pepito. Returning to Los Angeles after the war, Yamauchi studied painting at the Otis Art Center and later took a correspondence course in short-story writing. Although she was better known as an artist, in 1960 she was asked by The Rafu Shimpo to contribute to its annual holiday edition and from that year on, she regularly penned a short story or essay for the newspaper. An avid reader since childhood, Yamauchi has cited a variety of literary influences, including Henry Wadsworth Longfellow, Zane Grey, Thomas Wolfe, Tennessee Williams, and many of her fellow Asian American writers. In 1974, a group of Asian American writers — led by Frank Chin, Jeffery Paul Chan, Lawson Fusao Inada and Shawn Wong — organized a landmark anthology entitled “Aiiieeeee!,” which published Yamauchi’s short story “And the Soul Shall Dance” after Yamamoto suggested it for inclusion. Yamauchi’s stories appeared in a number of other anthologies, including “Counterpoint: Perspectives on Asian America” (1976), as well as the academic publication Amerasia Journal. 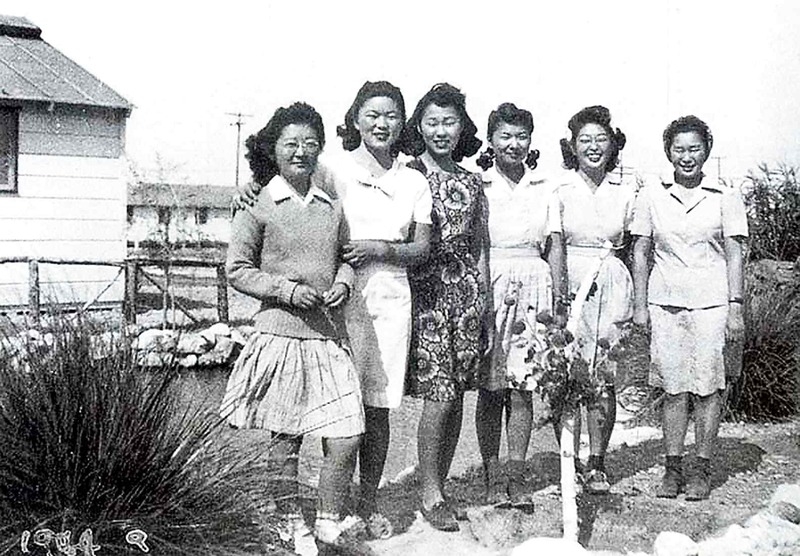 Wakako Yamauchi (third from left) and fellow writer Hisaye Yamamoto (left) were both incarcerated at Poston in Arizona during World War II. East West Players Artistic Director Mako read “And the Soul Shall Dance” and convinced Yamauchi to turn it into a play, despite the fact that she had never written for the stage before. “So I sent my daughter to the Gardena Library for a book on how to write plays,” she told The Los Angeles Times. Yamauchi’s subsequent plays include “12-1-A” (her family’s address at Poston), which is set in camp and is also widely performed; and “The Chairman’s Wife,” which is about Mao Zedong’s widow, Jiang Qing. Both are included in “The Politics of Life: Four Plays by Asian American Women” (1993), edited by Velina Hasu Houston. “12-1-A” has also been produced in Japan. “Some of her best literary works explore how the experiences and aspirations of her generation, seen through a distinct Japanese American woman’s perspective, collide with obstacles of race and class discrimination,” wrote Patricia Wakida, editor of “Only What We Could Carry: The Japanese American Internment Experience.” “Yamauchi deftly draws from her life experiences and observations — of her immigrant parents and the tension between the two generations, the trauma of World War II, post-war resettlement and assimilation, and the process of aging — to create her art. Yamauchi received numerous awards, including Rockefeller grants, the Brody Art Fund Fellowship, and the American Theater Critics Regional Award for Outstanding Play. She is featured, along with textile artist Momo Nagano and singer Mary Nomura, in “Words, Weavings & Songs,” a 2002 documentary by John Esaki. Although all three were held behind barbed wire as teenagers, their creative spirits remained undaunted, their lives fortified by art, music, and literature. As a member of Pacific Asian American Women Writers West, which was established in 1976, Yamauchi did several readings at community events. Other PAAWWW members have included Joyce Nako, Jude Narita, Miya Iwataki, Sue Kunitomi Embrey, Cecilia Manguerra Brainard, Amy Uyematsu, Emma Gee, Diane Ujiiye, Sumi Haru, Pamela Tom, Chungmi Kim, Momoko Iko and Akemi Kikumura Yano. As word of Yamauchi’s passing spread, many friends and associates posted remembrances on Facebook. Predeceased by her parents, Yosaku and Hamako (nee Machida) Nakamura, daughter Joy, younger sister Florence Kibo Takaya, brother Sam Nakamura, sister-in-law Teru Nakamura, and brother-in-law Yasu Sugiyama. Nephews David (Jeanne) Nakamura, John (Norma) Nakamura; niece Julie Nakamura-Fowler; great nieces Rachel Fowler, Naomi Nakamura. A private service will be held this weekend and a public memorial will be scheduled at a later date. Some biographical information provided by Densho and Encyclopedia.com.